You can make any drawing or painting tool do whatever you want in Adobe Photoshop. This quality extends to the most fundamental drawing tool available in Photoshop: the Brush. Yes, you are far more in control of a brush when you have a stylus and a tablet, but not everyone has access to that option. Most of us don’t, actually, and perhaps you don’t either. As such, the ability to rotate brushes in Photoshop can be useful in many situations. The ability to rotate a Photoshop brush gives you most of the control you would expect to have with a real brush in your hand. You can control the size of the brush tip and the type of brush. The “angle” of the brush can be the missing link, which a tiny Photoshop setting solves in a second. It’s a cool trick for making some creative frames or background textures among other things. Some brushes are designed as “corner brushes” to frame your graphic. Rotate the brush to cover all corners easily! Open the Brush panel which houses the settings and the Presets. Go to Windows > Brushes if it is not visible. From the Brush palette, pick a brush which is not round or a brush which you need to paint with. The trick to rotating the brush lies in the Brush Tip Shape setting located in the Brush panel. As you can see in the image below, the small circle gives you complete control to set the brush angle and roundness. Some brush presets have their own unique angle and roundness. You can use the small circle to change that. For demonstration purposes, I’m using a nice clean square drop shadow brush which displays the rotation more clearly without scattering it across the canvas. You can rotate the brush through 360 degrees. Click and drag the circle till your brush is oriented in the exact direction you want. As a Photoshop beginner, I always wondered how do I paint a blob and rotate that. Do I rotate the layer? Or what else can I do? The knowledge of this tiny but useful tip sure would have saved me some head-scratching. This tip gets extra power when you use it to set up your own custom brushes in Photoshop A Beginners Guide to Creating Custom Brushes in Photoshop A Beginners Guide to Creating Custom Brushes in Photoshop Adobe Photoshop brushes are a handy way to add interest to your designs, and just as you can create your own custom patterns, you can just as easily design and create your own brushes. Read More . Is there anything in Photoshop Brushes that you get frustrated with? 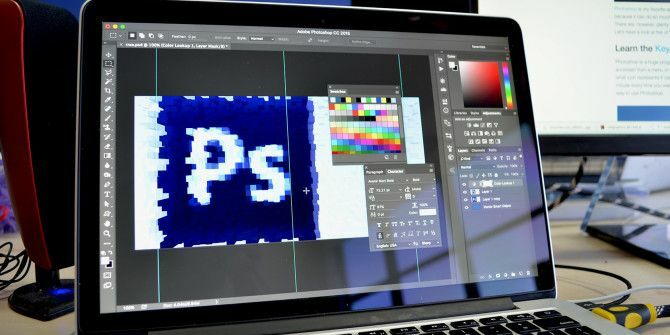 Which is the best Photoshop trick you discovered when you fiddled around with the software? Explore more about: Adobe Photoshop, Graphic Design.